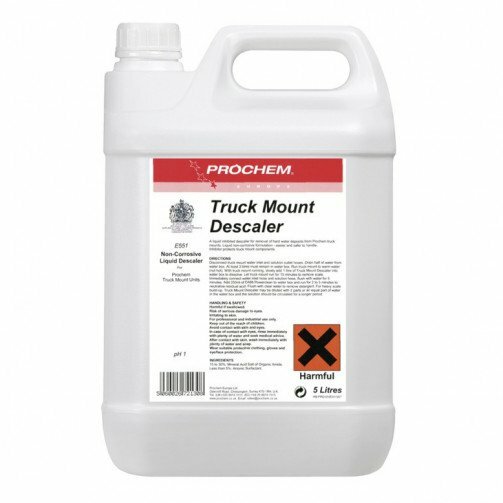 A new liquid inhibited descaler for removal of hard water deposits from Prochem truck mounts. 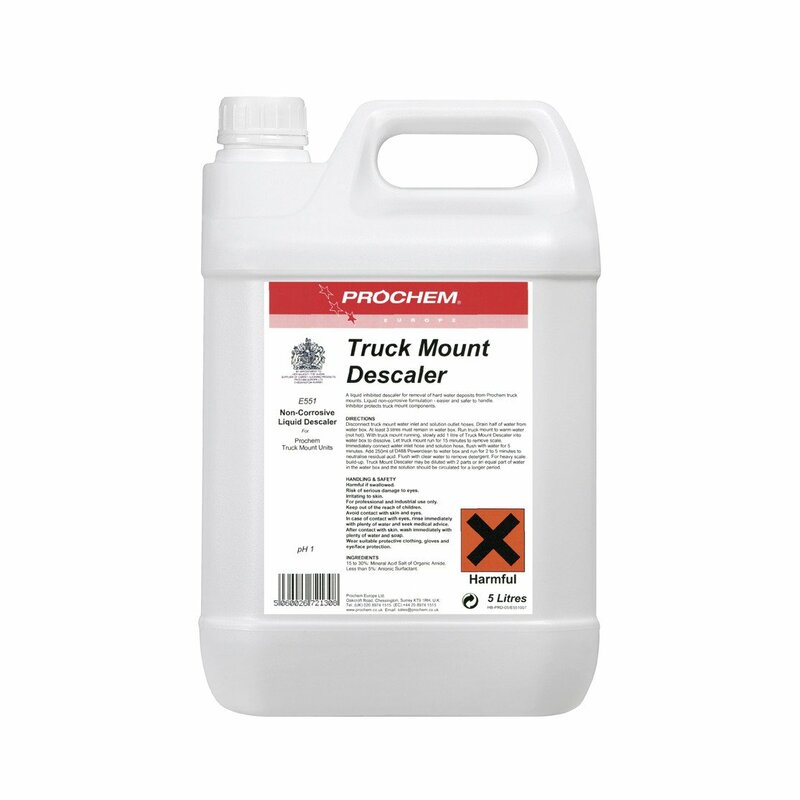 The new liquid non-corrosive formulation is easier and safer to handle and is an essential product for maintaining and protecting truck mount components from hard water scale build-up. Clear odourless liquid.